I have decided to introduce you to my city of Leipzig, where I am studying. I've noticed that I've lived here for three years now and have never photographed the sights. This is Leipzig so worth seeing. 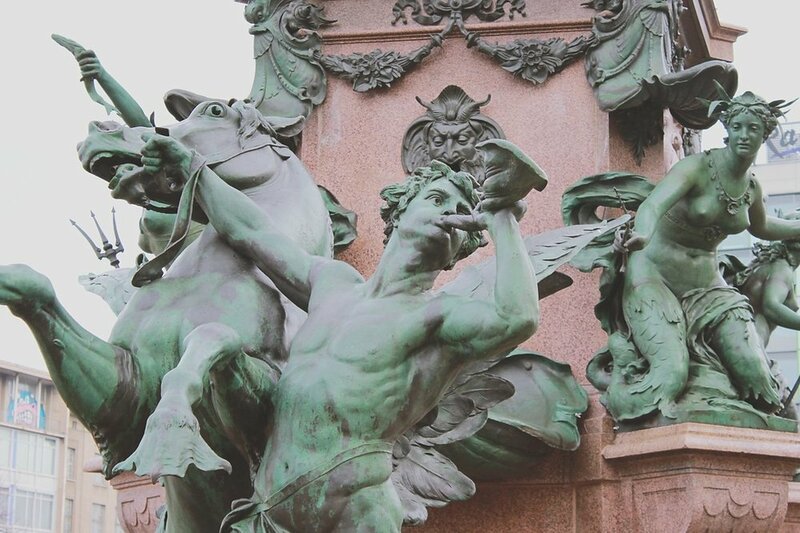 The Völkerschlachtdenkmal has already made it to the blog, but there are many other great buildings, museums, things with history are preserved, little insider tips that I want to show you yet. In particular, it will go to older architecture, so the Hiptster may now like to go back to their usual fashion lifestyle blogs. With me there will be no Urban Lost Places, graffiti walls or the hip streets to admire. I just want to introduce you to some of the facets of the city. 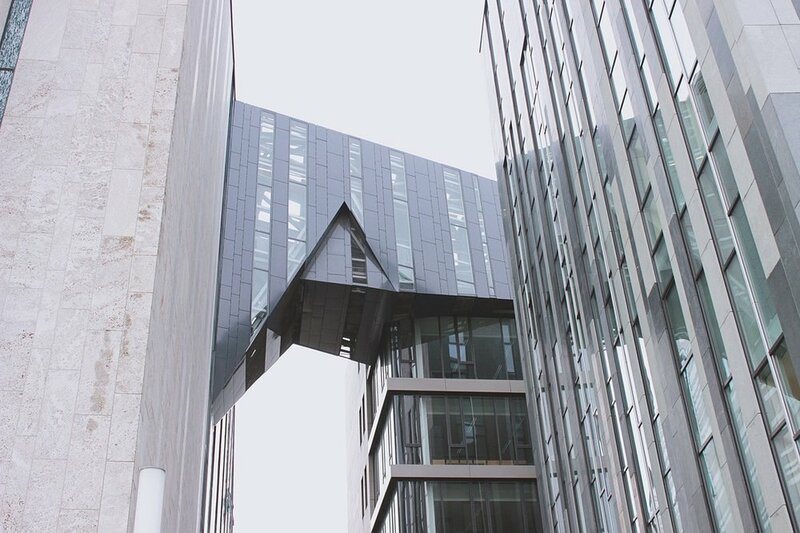 Because in Leipzig in particular a lot of history has been preserved and very often merged with completely modern elements or simply existing side by side. That makes the city interesting for many. Today we start with the Augustusplatz. Augustusplatz is one of three central squares in the city center and by far the largest of them. Here is the opera with the ballet. For concerts you go to the Gewandhaus opposite. Both buildings are not the prettiest, so I'll spare you pictures. However, by far the most interesting is really the main building of the University of Leipzig. This is the new Augusteum with the Paulinum. At this point before the war stood the city's big university and the Paulinerkirche, which had to be demolished. Part of the new building has been adapted to the church in a modern way. 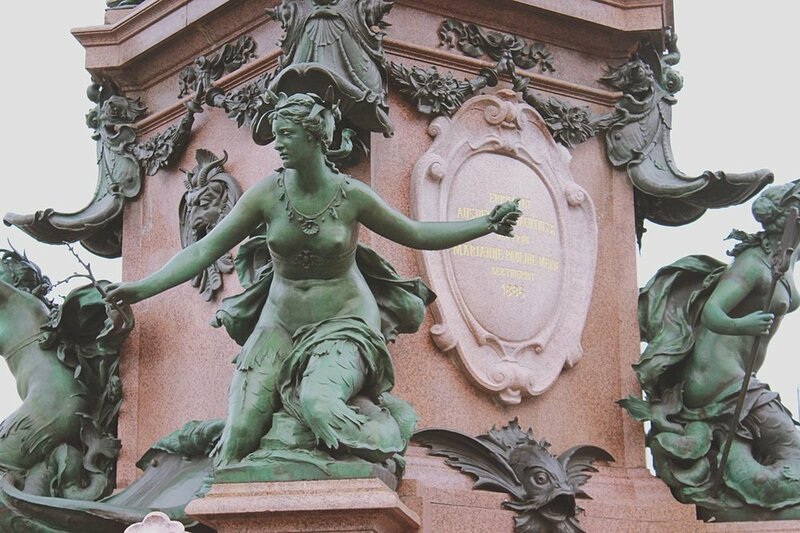 Even the fountain in front of the Gewandhaus, the Mendebrunen is an absolute work of art and was this summer restored consuming. Also not to be missed on Augustusplatz, as seen everywhere in the city and a great reference point for tourists, is the really high MDR Tower. Hard to guess, the headquarters of the Mitteldeutscher Rundfunk in the city. The locals call it the "crooked tooth" because of its characteristic shape. Also on the square is a very small, hidden, Egyptian Museum and the show collection of the University of Leipzig. Both are housed in the building with the tower and the bell with the two men hitting the bell every quarter of an hour.